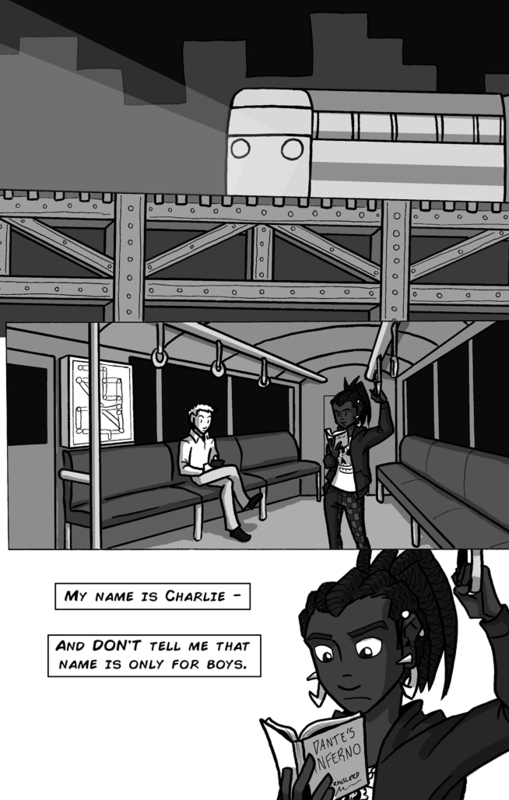 And here is the first page of the webcomic! Again, I’ll be updating this once a week. If you need even more comic goodness from me, there’s also Validation Mondays and Thursdays (which I do the art for) and Johnson & Sir Tuesdays (which I write and illustrate). The art for Charlie & Clow is a little different from what I usually do. What do you think? Let me know in the comments! Thank you so much for reading, and I’ll see you on Wednesday again for another update! P.S. However, if you want to see me in person sooner, I’ll be going to Youmacon this weekend! I’m not a special guest – I’m just going as an attendee, and I’ll probably be in costume. But I hope to see you there! I actually went to college with a girl named Charlie, so it makes sense to me. Then again I’m familiar with how weird naming conventions are. Like, Kelsey was, for a while, a unisex name (hence why we have an older actor gentleman named Kelsey Grammar). And Madison, the name of my grandfather, is now a girl’s name, which to me is a bit weird.